Who Should Apply For Hong Kong QMAS Scheme? Hong Kong QMAS Scheme – In the whole world, Hong Kong is the best tourist destination and it is one of most significant financial centers of Asia. The Quality Migrant Admission Scheme is a quote based scheme and this particular scheme does attract numerous foreign skilled migrants so that they work as well as improve their nation’s economy. The applicants who apply are required to secure minimum points. All people who are interested in migrating to Hong Kong in order to find a job, as well as work, must consider applying. We find that the count of people who are interested in immigrating to Hong Kong has been increasing from the past several years due to exceptional career opportunities. We find that initially the nation was known to be the best tourist spot and it has lured a large number of tourist each year. Conversely, we tend to find that this nation has become the one among the top immigration destination for the purpose of work. We find that, even if the individual’s do not have a prior job offer, Hong Kong immigration is possible. However, that applicant must ensure that they meet the requirements. The individuals should not only meet the eligibility criteria but they should secure the minimum points stated by the Immigration System In The Hong Kong. 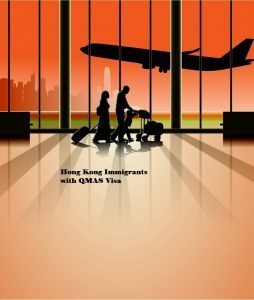 All individuals who are interested in immigrating to Hong Kong through Hong Kong QMAS Scheme should contact visa consultant who are not only best but also those who are reputed. How much does it cost to apply for Hong Kong QMAS Scheme? For better clarification contact Opulentuz Immigration team. How long can I stay in Hong Kong? I Want to live and settle in Hong Kong. Please Help me.